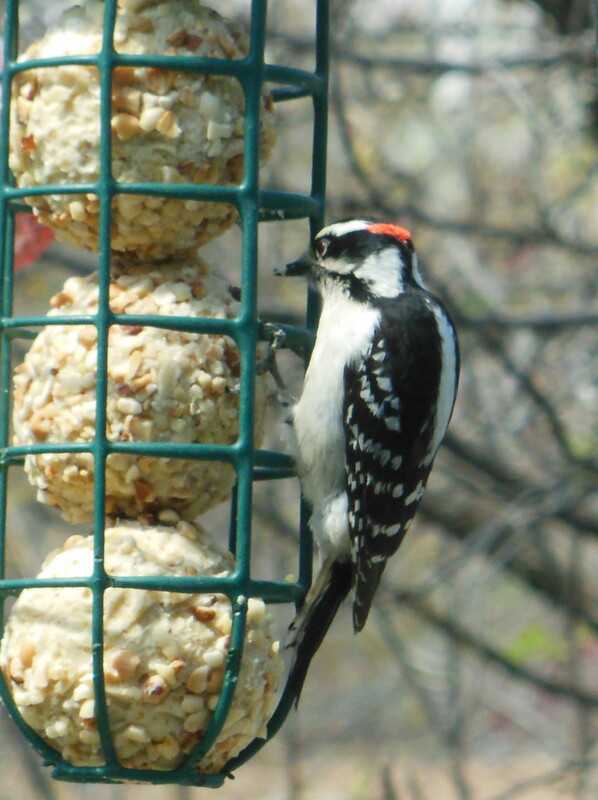 This is my reward for changing the damp birdseed that was in my birdfeeders, and for replenishing the suet ball holders. Woodpeckers and goldfinches by the score. The seed store lady helped me adjust the seed blends in order to see more finches. 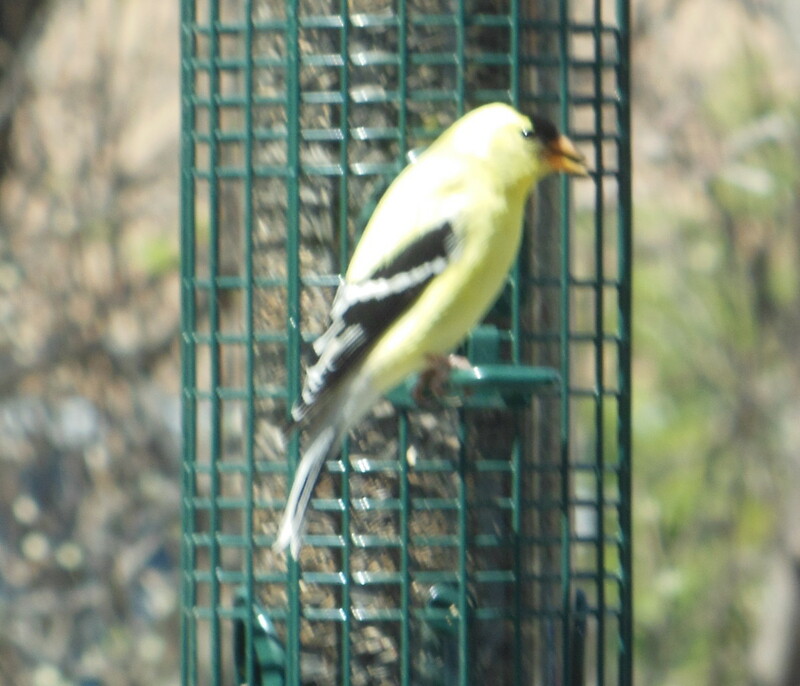 Now I am getting gangs of goldfinches at the feeders. 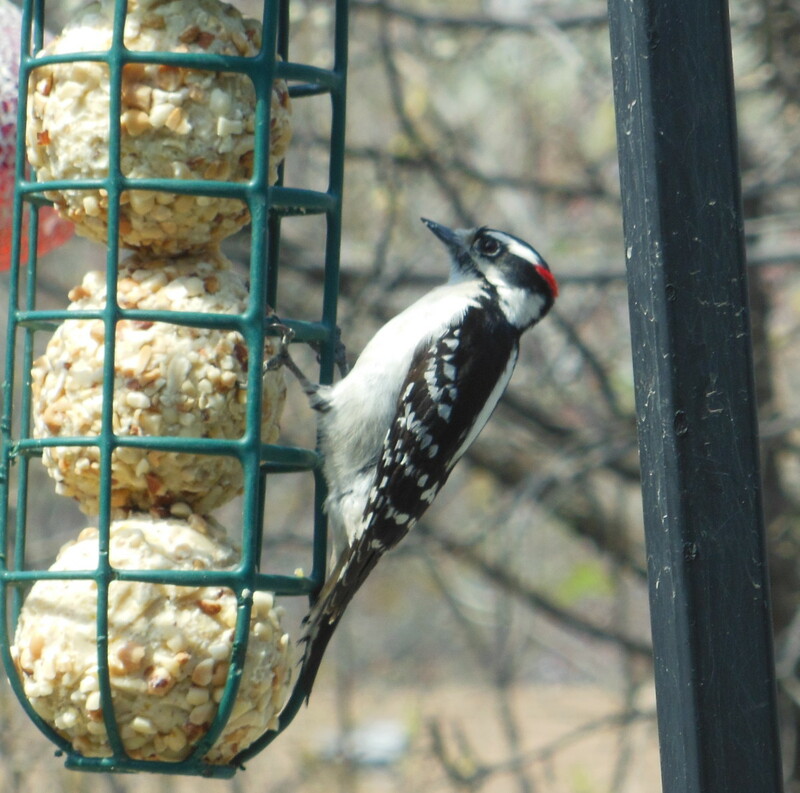 Only one male per feeder, however. Each male tolerates any number of females, but if another male tries to land while he is there, a skirmish ensues. Lots of drama in the bird world!